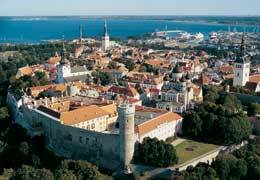 Baltic Holidays are specialists in private tours to the Baltic States and beyond. For those who don’t go for escorted coach tours, and prefer a bit of independence, flexibility and a personal touch – visiting the three Baltic States on our private tours is the ideal way to explore and indulge in these beautiful and diverse countries. You have 3 nights in each capital city; Vilnius, Riga & Tallinn (you can start/finish your trip from the city that suits your flights best). This allows you comfortable time to explore the city, enjoy its restaurants and cafe culture, museums and sights. We recommend you have a 3 hour walking tour of the old town on your first morning, to get you orientated and it is the best way to learn about real life, what’s on locally, and for example, if you want to buy a ticket for the opera, our guide can help. 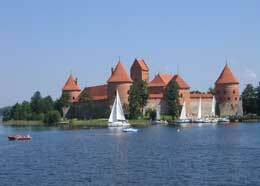 We also recommend taking a full or half day trip out of town to visit stunning attractions like Trakai Castle (Vilnius) or Lahemaa national park (Tallinn). You can do this in the company of our English speaking guide/driver who will pick you up from your hotel, or if you want an adventure you can do this independently using local transport. Your travel between the cities is by comfortable private transfer, with our English speaking drivers. The beauty is that you can choose to visit places of interest on route. For example, between Riga and Vilnius lies the fabulous Rundale Palace, or the haunting unique spectacle of the Hill of Crosses near Siauliai. Perhaps you have a specific interest and there is somewhere you would like to visit off the beaten track (former Soviet missile base, narrow gauge railway, ethnographic architecture, the birthplace of your ancestor,… ) let us know, and we can arrange it! 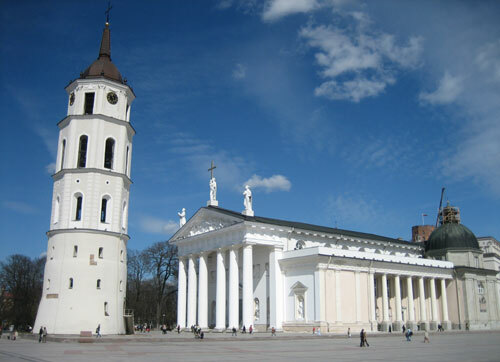 And if you want to extend this tour, to visit more of these countries; the Baltic coast perhaps, Nida on the Curonian Spit, Saaremaa and Muhu islands in Estonia, add a stay in a luxurious spa hotel, or a country retreat, or travel on further to Helsinki, St Petersburg, Warsaw, Minsk, Gdansk, Krakow, Moscow… we can arrange your personalised private tour of the Baltics and beyond. 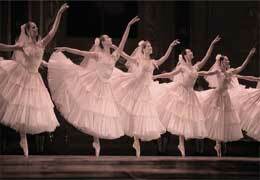 We are specialists in the Baltic region. We have an excellent team in the Baltics, expert travel consultants in the UK, and have handpicked our favourite hotels, suppliers and places to visit, so you can relax, assured you will get the best out of your tour of the Baltics.